*This post is written in partnership with The Young Scientists Club. I received free product to facilitate my post. Opinions are 100% my own. Growing up, I hated science. It was always a challenge for me. So much of my scientific study centered around reading a textbook – and the few hands-on experiments I did weren’t explained in a way that I could fully understand – and I think I missed out on so much. That’s why as a homeschooling parent, it’s so important to me that my kids connect with science. The Young Scientists Club has allowed my children, ranging in age from 6-12, to engage in hands-on science related experiments and activities AND receive kid-friendly explanations and instruction, helping them to understand the ins and outs of their firsthand learning. Each month, a kit containing anywhere from 3-10+ activities/experiments arrives in the mail. (Yes! A science-filled subscription kit designed specifically for kids 5-12!) At just $11.99 a kit (and only $4.95 in shipping), these kits are a wonderful monthly addition to any homeschooling curriculum OR simply a fun and affordable way to supplement your child’s science education. Over the past several months, we’ve learned about a huge range of topics including Owls, Bacteria and Fungi, and Forces. This month’s kit was especially exciting, as it mirrored something we covered in our homeschooling – Phases of Matter! This is a kit your child will get excited about. We’re talking about oobleck, baking soda & vinegar reactions, dancing raisins, and….slime! Better yet? The kit comes with just about everything you need. No special prep or trip to the store required! First up? 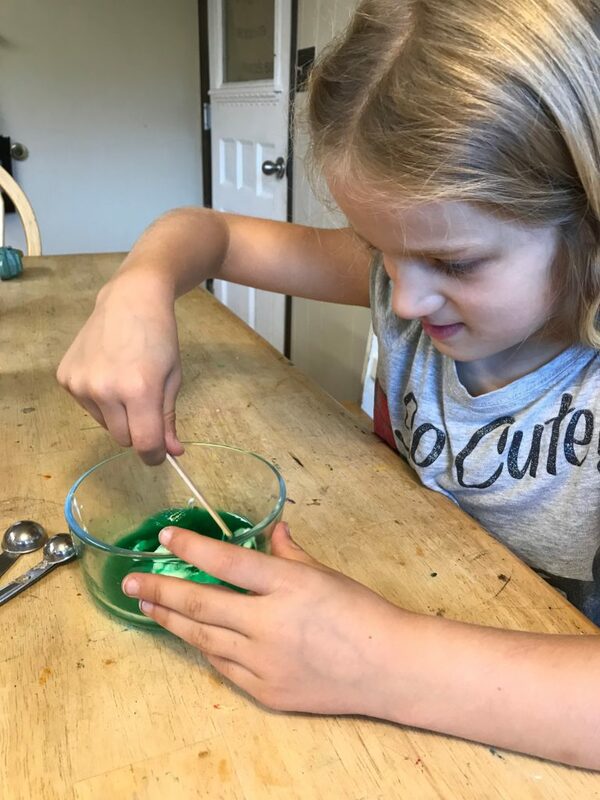 My youngest made slime…and turned that slime into a bouncy ball! She loved every gooey minute of it. She got to mix the liquids together to form…. a solid – slime! She loved this! Next up, we got everyone involved and played with oobleck! Oobleck is what you create when you mix corn starch and water. This is a fun but messy project, and this mama recommends doing it outdoors! 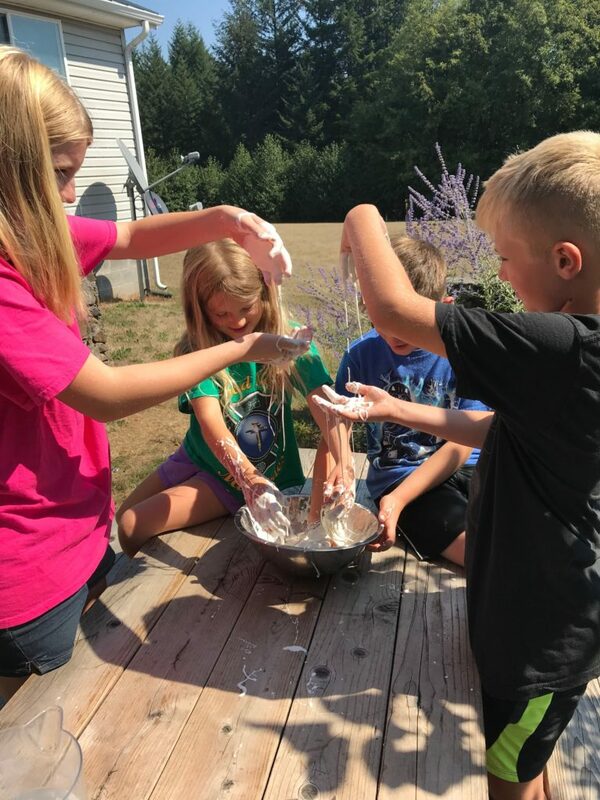 Oobleck is a must when learning about phases of matter, as it behaves as both a liquid AND a solid (a non-Newtonian fluid!) When pressure is applied, it behaves as a solid. When released, it behaves like a liquid. It’s also just good messy fun! Another favorite from this month’s kit involved baking soda and vinegar. We all know that when combined, the two create a fun fizzy reaction. However, it was really neat for the kids to see a visual demonstration of how a gas is formed. 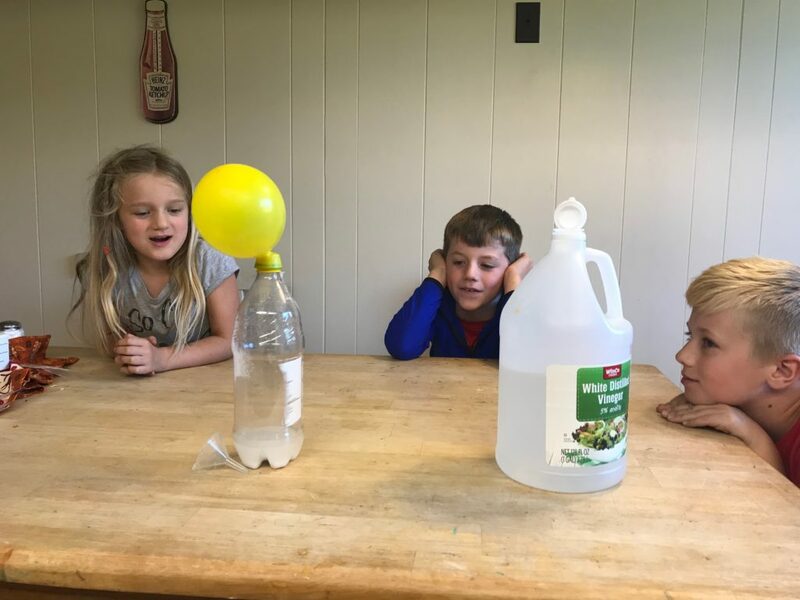 We put baking soda into a soda bottle, added vinegar, and then quickly placed a balloon on the top. I love that they got a firsthand visual experience of carbon dioxide being formed. This is something they are more likely to remember! When coupled with the information in the kit guide (from adorable Celsius the Science Bug), you have a truly special learning experience. 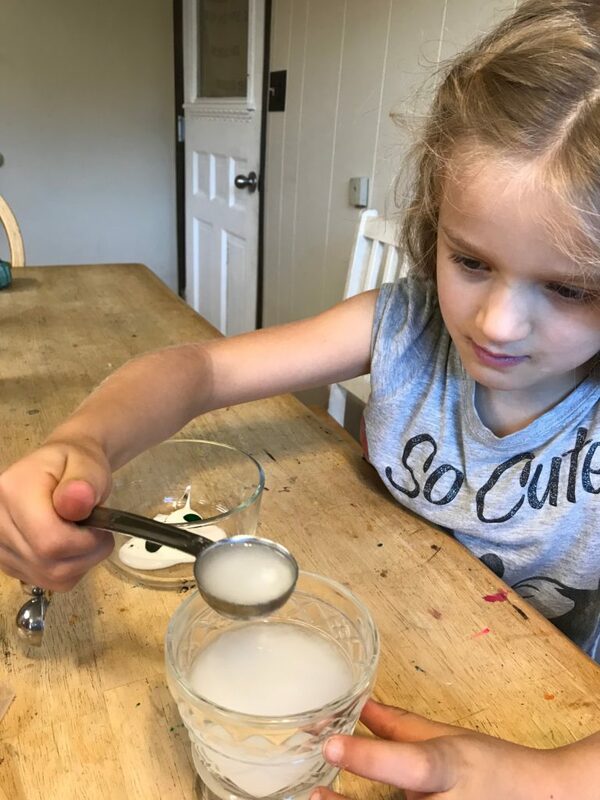 Want to start experiencing at-home science fun with YOUR kids? Please check out The Young Scientists Club website for more information. Science experiments are so fun. Thanks for posting!